I read this article and found it very interesting, thought it might be something for you. 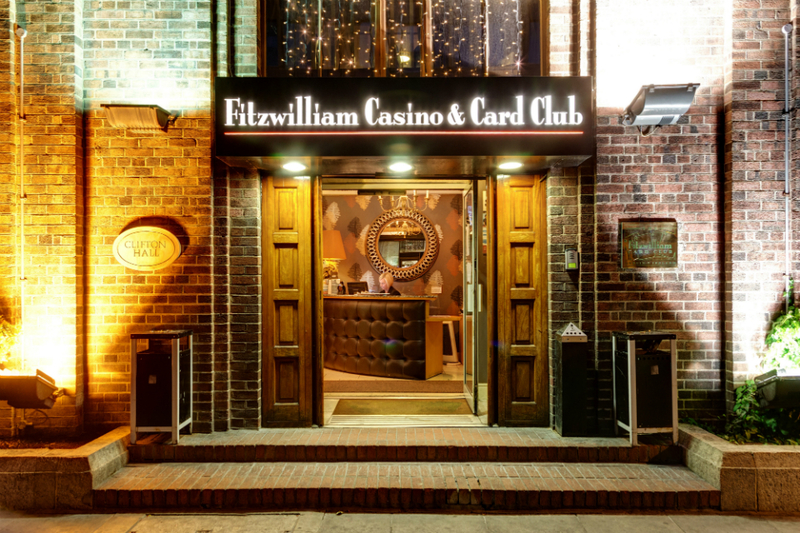 The article is called Barfly: The Fitzwilliam Casino and Card Club and is located at https://www.totallydublin.ie/food-drink/bars/barfly-the-real-deal-fitzwilliam-casino-and-card-club/. Having rarely set foot in a gambling establishment at any reasonable (responsible) hour of the night, stepping into the Fitzwilliam Casino and Card Club on a crisp autumn night to find a bright, spacious hall – a converted convent, with all the spaciousness and high-ceilings that go with it – I’m surprised, even a little nervous. Decorum is the order of the day. A little uncertain of the ins and outs of how everything works, I head mistakenly to the cash-out counter to get some chips with which to play. Thankfully however my naïevety is treated with hospitality, rather than an eye-roll, and the proper process is explained to me. Leaving my first bout of uncertainty behind me, I pitch up at the easiest game to play in any casino, roulette. Roulette is also the one where you are most hostage to fortune of course and one where you have to be lead by feel rather than any real tactics. Gamblers here stack small bets along particular single numbers, looking for proof that their lucky number (or numbers) really are what they say. The croupiers have seen every ritual in the book before, and the bets ranges from 25c punts on house-numbers and birthdays, to a cool-hand veteran pacing evenly between this and another table. It’s easy to tell there’s a large regular clientele supplemented by an ever revolving cast of novices, both tourists and locals. After some initial misfortune on outside bets – I quickly appreciate that this is a red table! But no matter how I try, defeats seem to come as frequently as wins, and after doubling my initial stake, I find myself back at square one and decide a change of scenery is in order. On offer is punto banco, James Bond’s favourite game apparently, and a series of poker tables to the back of the room which are already very busy, as they are in the upstairs room too. 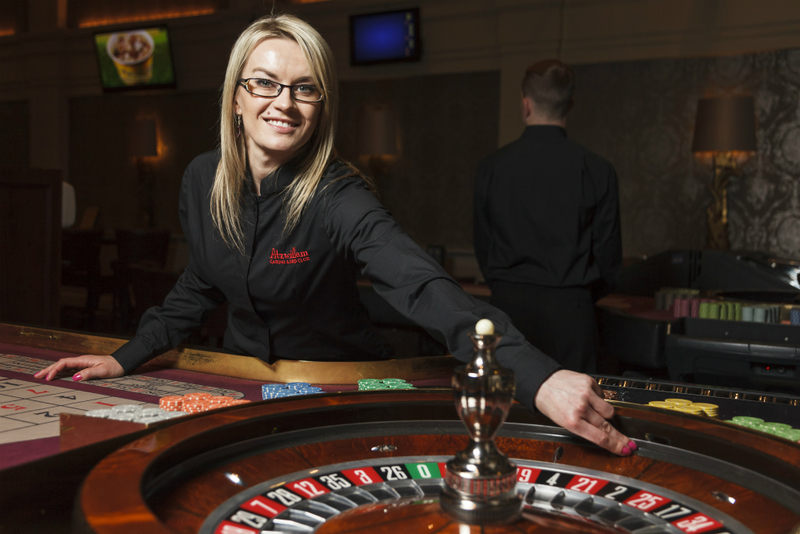 Favouring some tactical strategising – but not too much – I plump for blackjack, where the dealer is handing out good natured advice that often seems to be falling on deaf ears of ever more adventurous gamers. Here too there is a mix of novices and veterans, and a there is a comradely feel, with everyone at the table somehow willing everyone else to win, rather than rueing cards that were potentially their own. Free drinks are offered to players but this is a non-alcoholic environment, meaning that the air of the place is one of calmness, only punctured by a repeated bursts of elation from the three-card poker table next door: ‘Oh, you lovely little dealer, I could kiss you!’ I keep thinking he’s going to say ‘Lovely little offload!’ a la Mario Rosenstock’s rugger man in that ad, but alas no.